India is an immensely diverse country not just in terms of geographical diversity but also in terms of culture and traditions. Every region in the country is unique and different from the others and it has deep rooted history. India is probably the only country in the world where the influences of the foreign rulers and their culture are blended together with the local culture and continue to co-exist in complete harmony. You may have heard, seen and visited the famous historical places and monuments in the country like the great Taj Mahal, the magnificent Charminar, the grand Red Fort, the majestic Victoria Memorial but there are plenty of other hidden gems in the country that are not as popular as they deserve to be yet exudes an aura that is irresistible. This quaint, rustic and beautiful city is located in the land of the Rajas, Rajasthan. 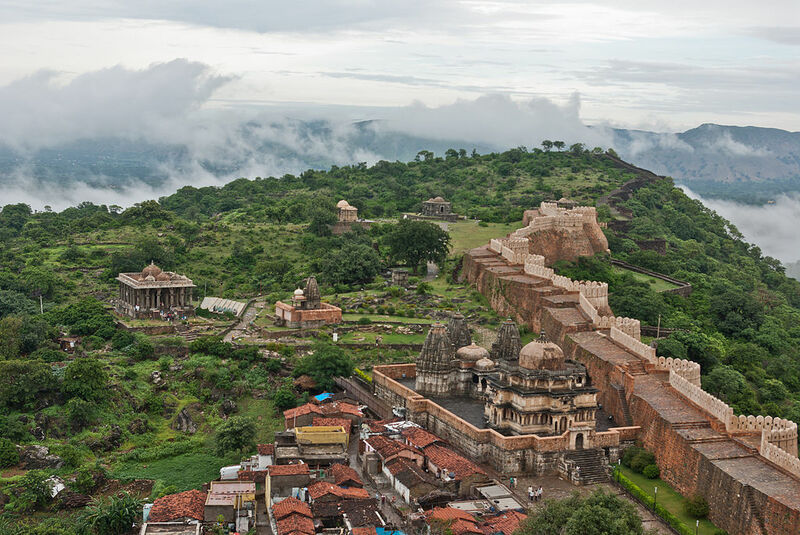 The city is known as the jewel of Mewar and it is a hot pot of culture, power, royalty and history. The entire city in itself is like a painter’s master piece, you would find something amazing at every turn that would make you to gasp in awe of the beauty of the region. The magnificent fort is a cynosure to the eye and astonishingly it accommodates 365 temples within it, 300 of which are Jain temples and the rest are Hindu temples. It also has a heritage walk path where you can spend your time in the nature’s lap and just soak in the mesmerizing beauty that surrounds you. If you are visiting Rajasthan, make sure that you hop on to the next bus and arrive at Kumbhalgarh. You can easily get your bus bookings online and also use cashback coupon to get valuable discount/savings on your ticket prices. Located in the far east of India, Sikkim is known for its mesmerizing natural landscape but not many people know that it also hides in it plenty of history waiting to be explored. Rabdentse, located on the West Sikkim is a favorite destination among the backpackers from around the world, people come here to visit the beautiful monasteries and revel in the peaceful, quaint and tranquil atmosphere. Rabdentse provides a vantage point for the tourist to witness the stunning panoramic view of the Kanchenjunga ranges. The best thing about this place is that it is affordable and gives you the real taste of Sikkim culture and its exotic cuisine. It may come across as quite a surprise for many that the national capital of India, New Delhi, which is one of the booming metropolises in the country, rests within such a quaint and historic site. The site looks very similar to the ruins of Mohenjo-Daro from the Harappa civilization. The first glimpse of the site would transverse you to the ancient history and make you wonder why this is not a popular site on the Delhi tourism map yet. The imposing structure has the most brilliant engineering design and it has an artificial lake. The sheer magnanimity and its rustic charm would surely leave you spell-bound. I can just say that of a relief to diocevsr someone that actually knows what theyre referring to online. You definitely diocevsr how to bring a problem to light making it important. Lots more people need to look at this and see why side with the story. I cant believe youre not widely used because you definitely have the gift.